Man of peace, Mike Hiestand, all packed up and ready to go! 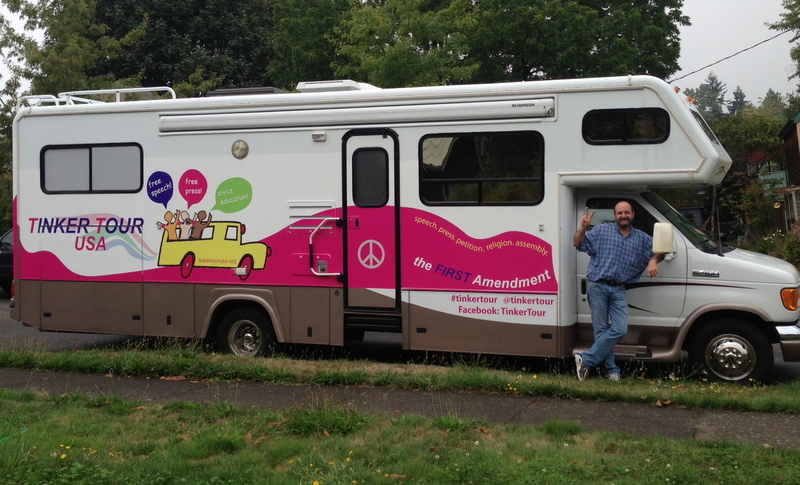 Heading for the National Constitution Center in Philly from Bellingham, WA in the most beautiful First Amendment bus in the history of the world! (Thanks, Kesh- great art work! And, Chazzzam- nice production job!) Here we go!